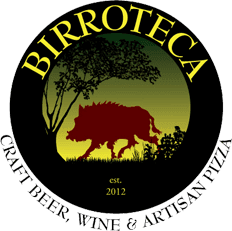 Birroteca is the destination for modern, rustic Italian cuisine crafted using ingredients sourced from local ranchers, farmers and watermen. Our guests enjoy communal dining service in a refined, casual setting. We feature more than 60 craft beers with 24 on tap, a focused Italian wine list and a selection of unique craft cocktails prepared with artisan distilled spirits and house-made mixes. Come taste why Birroteca has quickly achieved top standing in The Baltimore Sun, Baltimore magazine, City Paper and more.